Fires had always been a reason for concern in what was the Verdoy area of the Town of Colonie with no local volunteer fire department to handle them. Our neighbors from Shaker Road Volunteer Fire Department were always available to come to our aid if Verdoy needed help, but two serious fires in early 1944, one in the Verdoy area brought home the need for something closer to home. Following those fires the need for protection was of concern to many in the area. Mr. Wanton Budlong, then president of the Verdoy Improvement Association called a meeting with other members, William Cox, Howard Dill, and Bob Hawthorne. In order to get as much information as possible, they invited the Chief of the Niskayuna Volunteer Fire Department, the President of the Shaker Road Volunteer Fire Department, and the Supervisor of the Town of Colonie. Following this meeting the Verdoy Volunteer Fire Department was formed. William Green was asked to be Chairman of the drive to get things going. 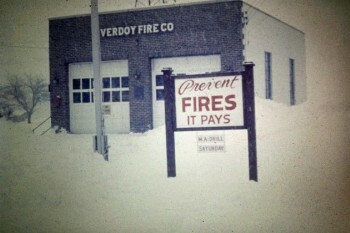 In February of 1944 the Verdoy Volunteer Fire Association was formed with Roy Garrison as President; Edward Fort, Secretary; and Irving Buhrmaster, Treasurer. They held their meetings in the Community Association Hall at the intersection of Old Niskayuna Road and Route 7. The Fire Association immediately laid out plans for the Verdoy Volunteer Fire Department naming William Green, Chief; John Sellers, Assistant Chief; Peter Cramer, Captain and William Coleman, Lieutenant. This was during World War II and a truck was hard to get due to priorities. After weeks of searching, a truck chassis was finally located and Chief Green used his own money to place a deposit. When the truck was delivered a booster tank, hose racks and compartments were mounted. At the time the truck was delivered there was no fire station but Verdoy members stepped up and during the winter months the truck was housed in a heated building at Fadeggon Nurseries and during the summer in Irving Bushmaster’s barn. The firemen rang doorbells, held paper drives, bingo games and sold raffle tickets to raise money. They also held square dances in Chief Green’s new barn. As World War II ended, the younger men returning from the war, joined the fire department. 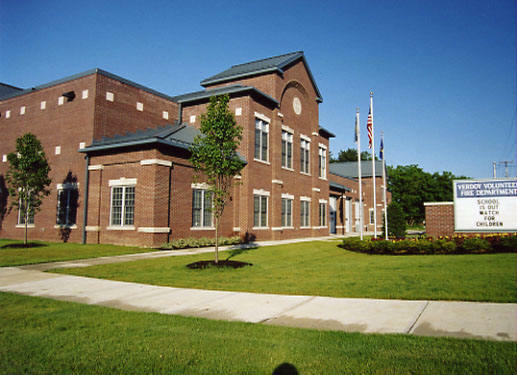 The Town of Colonie formed a tax district and Verdoy went on the tax rolls. Walter Russell was the first Chairman of the Board of Fire Commissioners. 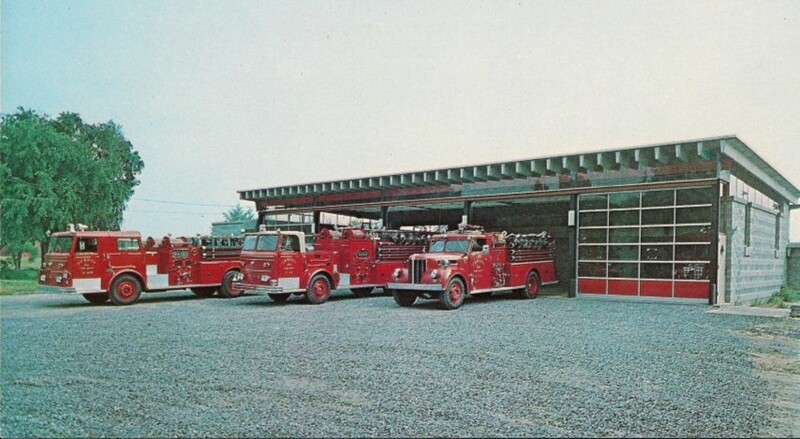 A first firehouse was built at Stop 29 Troy-Schenectady Turnpike in 1948. The address later became 1026 Troy Schenectady Road. The Verdoy Volunteer Fire Department was serving its community providing fire protection as well as assistance in other emergencies. Additions were made to the station at 1026 Troy Schenectady Road in 1967. Due to FAA regulations it was necessary to move to our present location at 988 Troy Schenectady Road in 2001.